Victoria McGrath, a student at Northeastern University in Boston, died in a car crash overseas along with her fellow student Priscilla Perez Torres. If Victoria’s name sounds familiar to you, that’s because she was a victim of the Boston Marathon Bombing whose photo was one of the most iconic images of the tragedy. 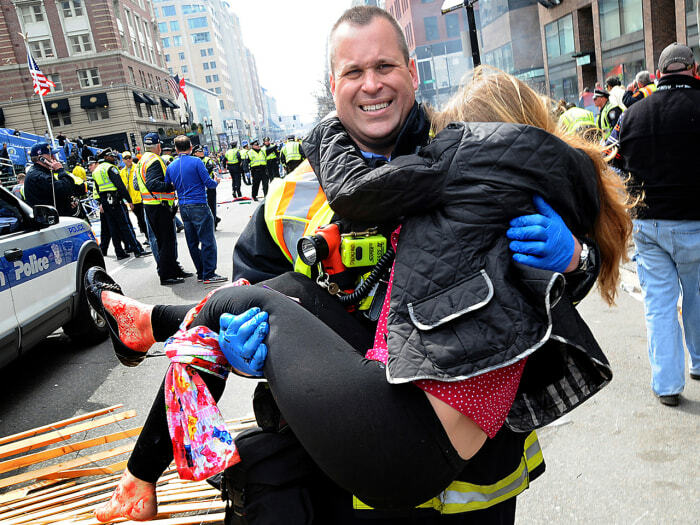 Below you can see that picture of Boston Firefighter Jimmy Plourde carrying Victoria to safety. Prior to the accident, Victoria had been an intern at Goldman Sachs as a Private Wealth Management Analyst. “Northeastern University has confirmed that two undergraduate students have been tragically killed in a car accident overseas,” the university said in a statement. “Our hearts go out to the family and friends of Victoria McGrath and Priscilla Perez Torres in this extremely difficult time.” Other than the fact that the car crash happened in Dubai, not much more information about the accident is known at this time. Our hearts go out to both Victoria and Priscilla’s families in this time of sorrow and tragedy.